The face of recruitment is changing; the days of paper-based Resume exchanges between employers and job seekers are going through a complete overhaul. Gone are the days when aspiring talent would flock to hiring managers at job fairs with their Resumes- stacks of applications would be manually collected, sorted, and shortlisted to match desired criteria- a tedious cycle that would give even the bravest of recruiters shudders down their spine considering screening time for just one job vacancy alone can easily take up to 23 hours. This is why streamlining the recruitment process is becoming increasingly pivotal. With continuous growth, diversity in talent gaps, and evolving labor market dynamics where your competition will go the extra mile to nab outstanding talent before you can- it is no longer realistic for hiring to be based on outdated processes. 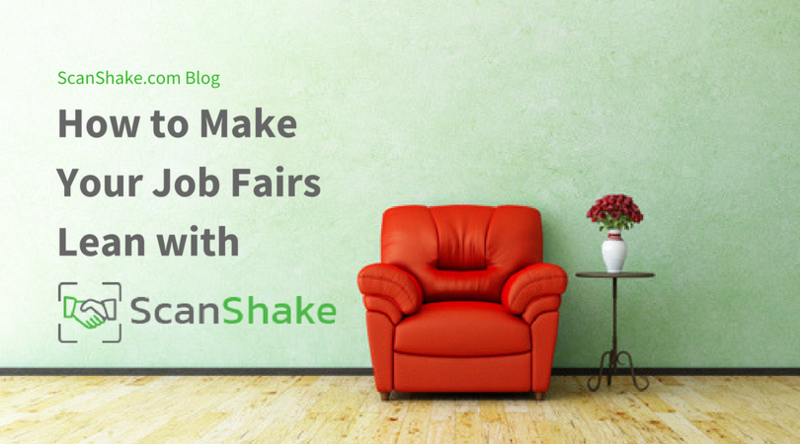 As a forward-thinking company, you cannot afford to jeopardize your legacy due to hiring bottlenecks, and this is why ScanShake is the perfect technology solution to revamp your job fair strategy altogether. An edgy mobile platform, ScanShake empowers employers with tremendous efficiency, organization tools and cost savings. 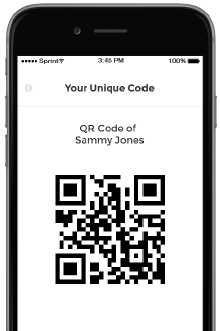 Instead of collecting bundles of paper-based resumes, employers need to just scan the unique QR code (generated by ScanShake’s Visitor app) to collect all visitor details they need. This reduces massive paper trails, makes information exchange instant and empowers exhibitors to captures key attendee information in a more persistent, searchable and accessible format. ScanShake also offers value to the Event Attendee or Visitor. After their QR code is scanned, they receive a contact card from the Exhibitor that they can use for post-event follow-ups. With independent iOS and android compatible apps for both exhibitors and attendees, this seamless transfer of the resume and business card all happens within a matter of seconds- there is no paper wastage, no need for any manual data recording, or the imminent threat of losing out on exceptional talent because of misplaced resumes in between the hustle and bustle of the candidate traffic. There’s never been a better time to stop dreaming about effortless resume management- it’s already a reality for our clients. ScanShake was built with a realization that every event is unique with its own nuances. The recipe to fundamentally changing the job fair experience has more ingredients to it than just quick resume collection and information swapping. As an event host, you are able to define precise data requirements and customize forms which job seekers use to register for the hiring event. This means the job seeker profile adapts to the requirements of your event. Need to capture fields like work experience, internships, LinkedIn Profiles, a university ID or a transcript? 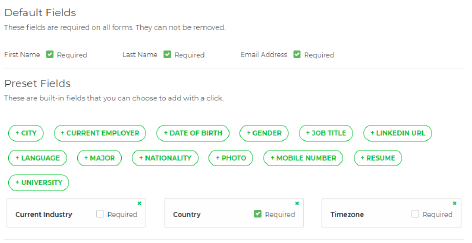 You can set the profile requirements in ,minutes. Want more? You can use the ScanShake powered job fair as an opportunity to market your brand, attract talent, and establish yourself as a business that is keen on not only connecting with job seekers but also genuinely invested in building long term relationships. Talent engagement is an art we have worked hard to master, and we’ll show you the ropes to ace this process along the way. How Does One Identify Relevant Talent with ScanShake? Resume organization is the cornerstone of how ScanShak e allows you to maximize the value you derive from each event. 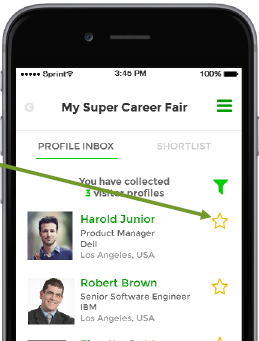 For example, you can “star” candidate resumes to create handy shortlists, add searchable “tags” to perform all kinds of categorization, and even add quick notes to track pivotal soft skills such as leadership or promising cultural fit potential to retain context of conversations with candidates taking place during the job fair. All the data gathered can then be accessed by a web-based interface that offers export features to allow you to deep-dive into profile analysis and import into other HRMS systems. Enjoy figuring out what you’ll do with all that extra time on your calendar that just opened up, you’re welcome. How Can Event ROI Be Measured? ScanShake eliminates room for any assumptions with its detailed reporting features. As a host or exhibitor, you will have access to event analytics that of scan volume activity, number of attending visitors and exhibitors, breakdown of job seeker population by dimensions like Industry or Major and even identification of the most active recruiters and candidates at the event. The post-event reports will reveal the value employers walked away with as well. It will give you numbers on how many candidates each employer scanned and what percentage of them ended up in their shortlists. With measurable insights at your disposal, job fair organizers can finally feel confident in understanding the engagement they were able to produce and what areas they need to improve on. Armed with stats and data, they are able to approach employers after the event, follow-up on their hiring activity and discuss future improvements. ScanShake works hard, so your recruitment team can work smart- invest in conversations and talent engagement and leave the Resume collection and sorting to us. With all the time and cost savings, you can focus better on nurturing high quality leads and marketing your brand! If you’d like to experience the power of seamless information exchange at your next job fair, speak with our expert to learn more about ScanShake here.